The new documentary Foolish Mortals, about the unique fan culture surrounding Disney’s famous Haunted Mansion ride, is set to debut this summer, and the first official teaser trailer was released online today. First opening in 1969, The Haunted Mansion is a dark ride (indoor) attraction located at Disneyland in California, which later also opened at The Magic Kingdom at Disney World in Florida in 1971, and Tokyo Disneyland in Japan in 1983. The attraction, although differing slightly in every location, places riders inside a haunted manor resided by “999 happy haunts”. The Haunted Mansion features a ride-through tour in Omnimover vehicles called “Doom Buggies”, and a walk-through show is displayed to riders waiting in the line queue. The attraction utilizes a range of technology, from centuries-old theatrical effects to modern special effects featuring spectral Audio-Animatronics. According to the film’s website, some of the people scheduled to appear in the film are Disney legend Rolly Crump, artist Topher Adam, former Imagineer Jason Surrell, Tristan Risk, Robert Kurtzman, Dutch Bihary, Sandie Schnieder, Imagineer Terri Hardin, Mike Mendez, Spooky Dan Walker, and Lance Henriksen, among others. 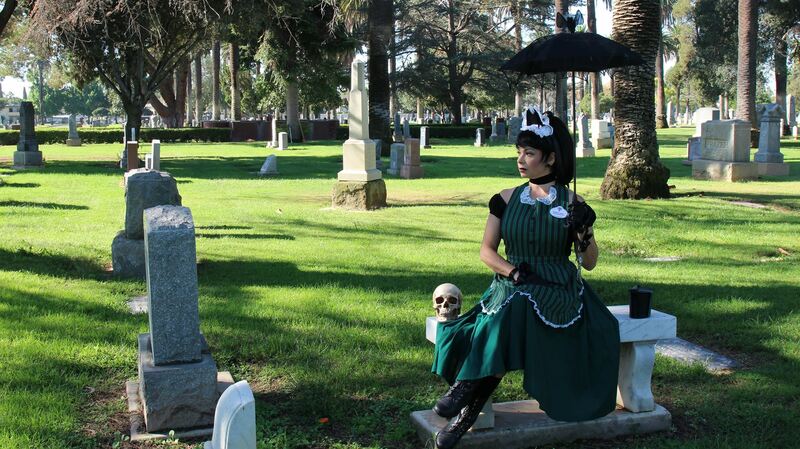 Foolish Mortals will have its world premiere screening on July 15 at the Red Lion in Anaheim, CA. Check out the first official teaser trailer for Foolish Mortals: A Haunted Mansion Documentary below!